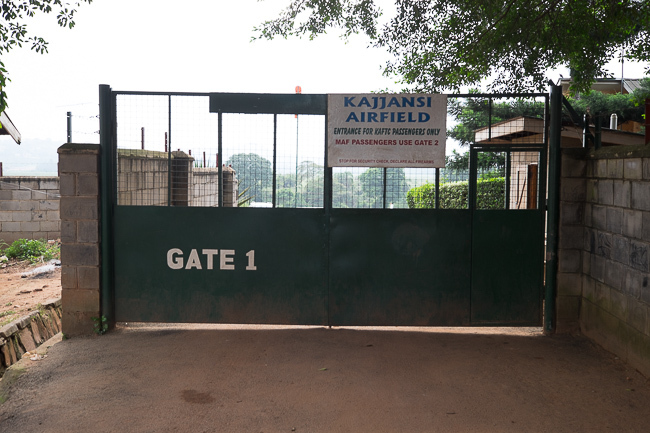 Sunny at Kajjansi Airfield, heavy rain at Fort Portal. Reporting a ceiling of 3 feet and visibility of 1 foot, or maybe it was the other way around. Obviously we had to wait for the weather to clear. About an hour or so later and we were off to Fort Portal. On final approach, I kept looking for the strip, and suddenly I understood why the pilot told me that they could only take off from Fort Portal with ½ fuel and no more than one passenger. Suddenly, there it was – 650 foot of ugly grass runway with a huge dip in the middle of the LZ. We made it down without so much of a bounce despite a quartering crosswind. It was a great landing; kudos to our pilot! Finally we were off to the wonderful Kyaninga Lodge – set high atop a hill with a deep lake at its front door, this will be our home for the next 4 nights. Blogging live from Uganda near the Rwenzori Mountains.